To guarantee a consistent and thorough result we deploys two kinds of Interface evaluation. User testing however is central to what we do. 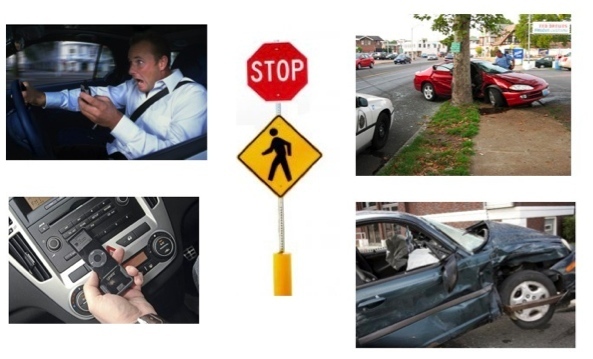 Interactive Infotainment systems, including in-car use of IT products impact on driver safety. Increasingly these IT peripherals are being integrated into the car system. We developed the Vehicle Analysis and System Test VAST as a systematic test aimed at understanding where these products are causing the most problems and how to improve user safety. Error Rate: caused by interface which is difficult to understand or use. What these do is help us identify the interface bottle neck at what point the user is having difficulty completing the task. The actual time to completion (TOC) is compared with the recommended one. 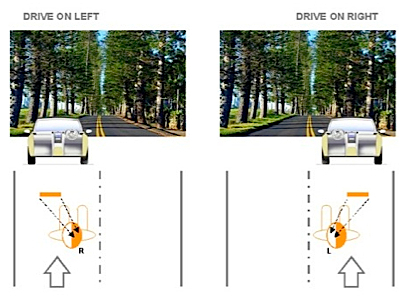 Which is generally accepted to be a glance away time from road at between 1.5 – 2.0 seconds. If there is a time difference between the measured TOC and the recommended TOC, then the VAST™ procedure will indicate the reasons. Once we know that, we can then modify or replace the interface design with an improved one. 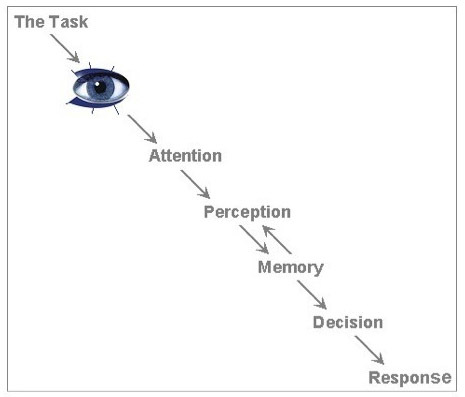 We focus on user behavior in the Perception-Reaction sequence to understand how to better structure the information for different users. The first tests we undertake are biometric movement ones. These are divided into user group categories of age, gender, cultural background, etc. 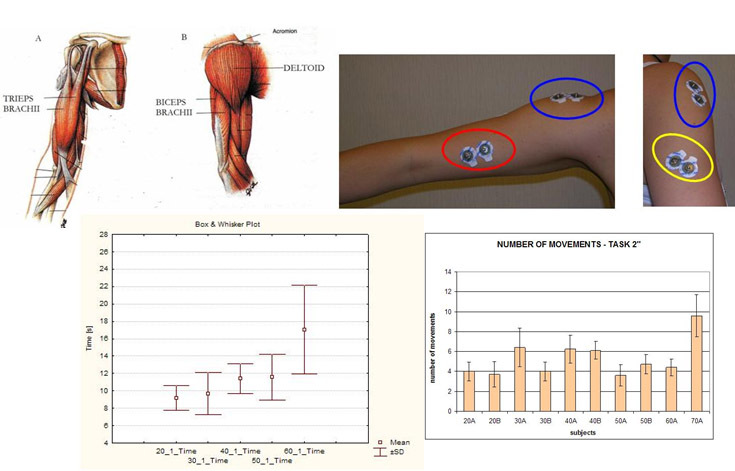 Electromyography (EMG) Evaluation is used to measure the muscle activity in the Deltoid and Biceps Brachii. The Mean Frequency (MNF) over time is calculated and used to assess the level of stress suffered by the user under simulated conditions with highly repetitive tasks, like repeated use of a touch screen interface. Eye, head and arm, finger and the thumb movement are measured in detail. There are distinct variations between OEM systems each can have different items of interaction, depending on the distribution of the commands. Based upon the above movement analysis we can construct a movement analysis model which combine head and arm movement. 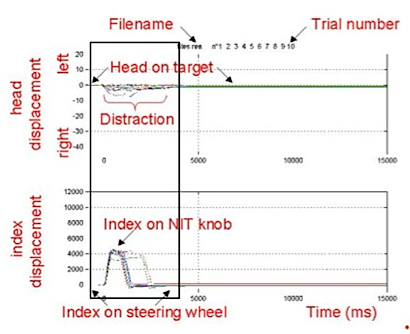 The result is a interaction pattern which when combined with EEC and Galvanic skin response can build a inference model on how the driver is coping with the interaction task while driving. In terms of voice control systems Voice Analysis is useful for detecting driver stress while interacting with the system . By conducting user interviews after testing we measure the users opinions and perception of the system. This data is compared with the actual performance to give a more complete picture. The resulting date when combined allows the construction of an INFERENCE model on how the driver is managing. Left & Right handed driving positions have a significant impact on usability especially in the case of touch screen interaction. Moreover the brain interprets and acts upon different kinds of information coming form the left and right hand side of the user this is referred to the lateralization theory was developed by Nobel-prize-winners Roger Sperry and Robert Ornstein. In the driving environment it has significant implications in the design of centrally located in-car controls and touch screen information.